There has been much talk concerning director Darren Aronofsky's desire to adapt the tale of Noah and his ark for the big screen ever since that desire was made public. Aronofsky is a director who likes to push the limit and is always willing to look for an interesting perspective on subjects and a style to go along with that perspective that will influence how he captures the story on film. I have always been a big supporter of his 2006 passion project, The Fountain, and have enjoyed his work since as well as prior. With the ability to secure a massive budget and backing of a studio like Paramount Aronofsky is now operating on his biggest scale yet and if there is a story that might justify this excursion into big budget studio films for a more arthouse director, it would be a Bible story in which everyone will have plenty to say. Paramount is no doubt hoping this mentality means it will put up Passion of the Christ-like numbers though we've already heard reports that the director and Paramount are at odds over the final cut of the film after a few test screenings didn't come away with the most shining of results. All I care about though is that the final cut we see on-screen is the one Aronofsky originally had in mind when he began this project. The director knows what he is doing and the trailer implies he has a very specific way of channeling the aspects of God and how he communicated with Noah in a way that make this event feel all the more plausible. The visuals here are absolutely stunning and there is a grand scale to the film that a story like this justifies but going even further, Aronofsky has gathered a cast that will more than do their part to elevate the human aspects of this story we've all heard many times before and in doing so will no doubt deliver a complete film that packs plenty of its own surprises. 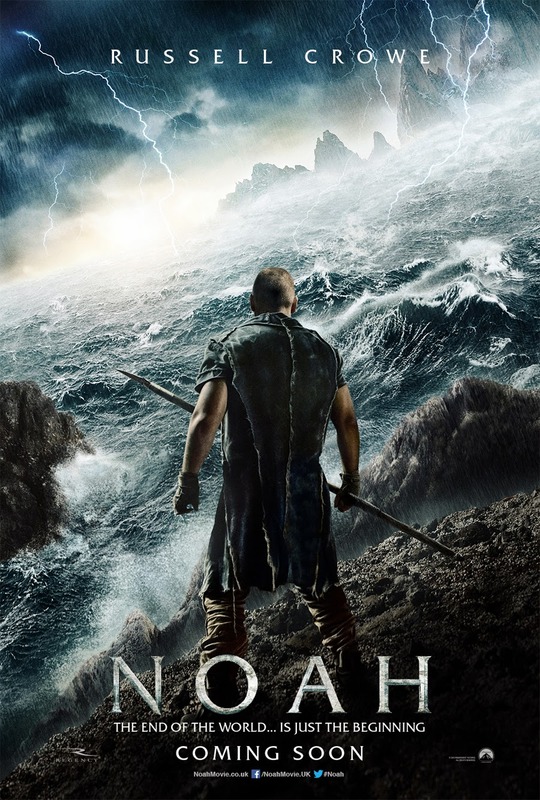 Russel Crowe plays the titular Noah and is joined by the likes of Emma Watson, Jennifer Connelly, Logan Lerman, Ray Winstone, Douglas Booth, Kevin Durand, Martin Csokas, Mark Margolis, and Anthony Hopkins. Noah opens on March 28, 2014.